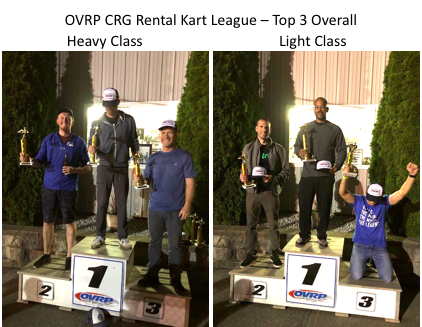 OVRP Rental Kart Race League Winners Crowned! The first OVRP Rental Kart Race League came to an end last night. After 6 exciting weeks of racing in our “new-ish” CRG Rental Karts, here are the top three finishers in both the Light & Heavy Classes. Congratulations to the top three in each class and thank you to everyone that participated in the events. Justin Adakonis takes 3rd at Sodi Kart World Finals in Italy!